Published by Jonathan Cape, 2004 . … a breathtakingly accomplished debut. 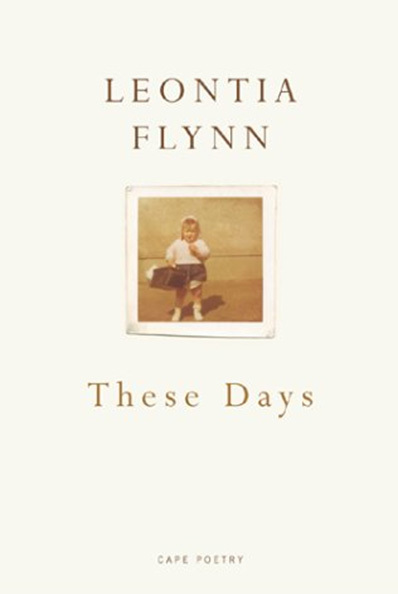 These Days transforms Flynn’s everyday experiences into literary jewels. She has exceptional insight and the writerly rigour of a poet many years her senior. Leontia Flynn’s poems are as elliptical as they are intent. The journey through them is full of strange turnings, diversions and sudden flights which lead to exacting conclusions. Flynn arrives with a great deal of self-possession, and enough grace and wit not to stand on ceremony or even to stand still: ‘Don’t write about anything/you can point at’, she says. A delightfully impressive debut. ©2019 Leontia Flynn. All Rights Resrved.